Box Hill North PS Grade 5 and 6 students Andrew, Coralie, Felix , Mitchel with Lorraine Wright, teacher Jessica Riley and Colin Hasting from the Footscray-Yarraville City Band. Box Hill North Primary School students have been busily handcrafting poppies to pay tribute to the Anzacs. 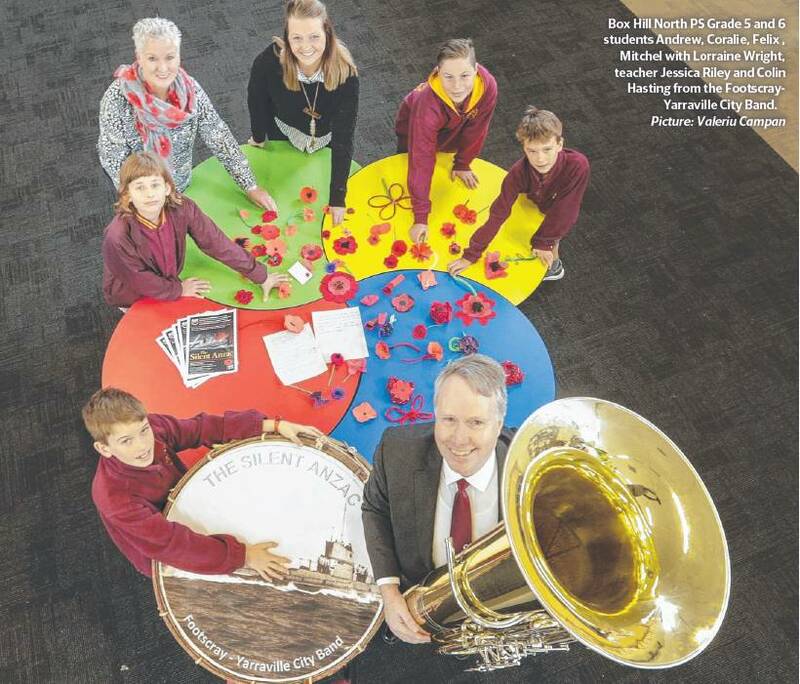 The school is collaborating with the Footscray-Yarraville City Band on its Silent Anzac project to commemorate the Centenary of Armistice this Remembrance Day on November 11, 2018. The students have been making poppies which the band will lay at the Australian National Memorial, Villers Bretonneux, France, when it travels over in November. Band secretary Colin Harrison said the commemoration service would be live-streamed so the students could experience the tribute from back home. “This project will provide the students with a unique opportunity to contribute directly to the commemoration events in Europe,” he said. 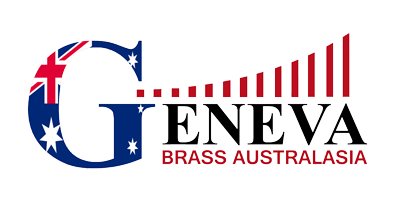 The band has taken the school onboard its fourth year carrying out its Silent Anzac Project. To thank present Australian troops, the children are also putting together care packages to send to those serving overseas. The band will perform an Anzac tribute show at the Whitehorse Centre on Sunday, September 30, at 2pm, where the students’ poppies and care packages will be on display.